Snow on State Route 36 Saturday a.m. The winter storm is hitting the region today, with the Eureka office of the National Weather Service describing deteriorating conditions over Berry Summit. Caltrans is reporting that chains are required. 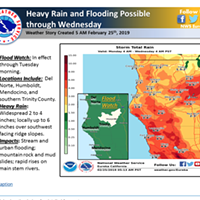 For the most up-to-date conditions, visit Caltrans’ QuickMap website. Mother Nature is about to unleash another cold snap on the region this weekend with the Eureka office of the National Weather Service forecasting a storm that could leave a dusting of snow down to 500 feet. 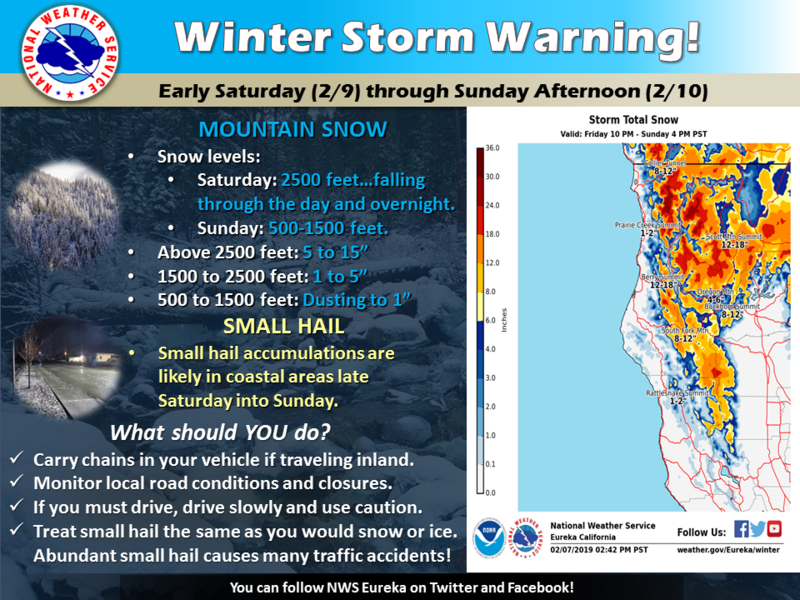 A winter storm warning will be in effect for the Southern Humboldt interior from 4 a.m. Saturday to 4 p.m. Sunday. State routes 299, 36 and 3 are expected to be impacted along with summits on U.S. Highway 101. The white stuff is expected to start coming down on Saturday and continue overnight into Sunday. Elevations above 2,500 feet could see 5 to 15 inches while about 1 inch is possible between 500 and 1,500 feet. 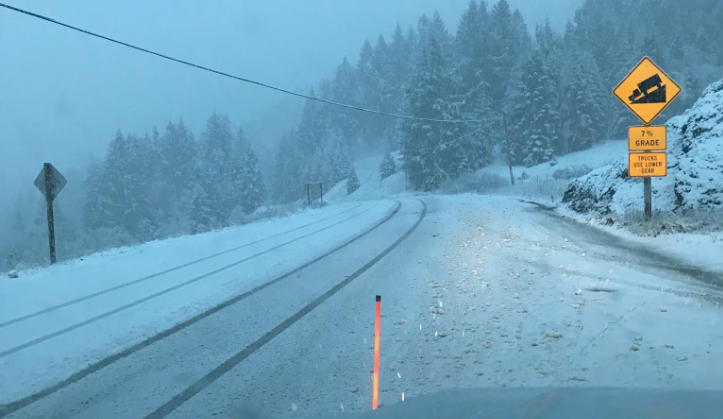 The weather service warns of “hazardous driving conditions” from the snow in the mountains and the hail that may accumulate on roads on the coast. A cold storm system will produce heavy snow across the mountains this weekend, with light accumulations possible near 500 to 1000 feet along the coast. In addition, small hail may accumulate on coastal roadways Saturday night through Sunday, resulting in hazardous driving conditions. Please evaluate weekend travel plans and continue to monitor the forecast for updates in the coming days! * WHAT: Heavy snow expected. 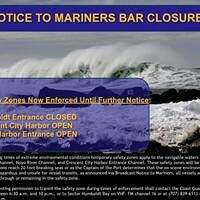 Plan on difficult travel conditions. * WHERE: Southern Humboldt Interior, Northern Trinity, Southern Trinity and Northeastern Mendocino County Interior. 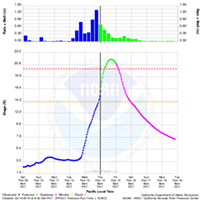 Highways impacted include 299, 36, 3, and even a few summits along Highway 101. * WHEN: 4 AM Saturday to 4 PM Sunday.